decrease the inventory of homes to only those that fit your parameters. You’ll be able to beat out competition. know how much you can negotiate. You can purchase a home more quickly. which could take weeks. During those weeks, you could risk losing the home to another bidder. You can do your homework first. could save you a lot of money in the long run. Although pre-approval does not automatically mean you will qualify for a particular loan for a house you find, there are many benefits to being pre-approved. 1) You’ll know how much you can afford. Due to increased restrictions on the mortgage industry, what you could borrow five years ago may not be the same as it is today. You can minimize anxiety and last minute loan surprises if you know what you qualify for before you begin to shop. 2) Spend more time looking at the right homes. Before you spend hours of your time house hunting, its important to know what you qualify for first to decrease the inventory of homes to only those that fit your parameters. 3) You’ll be able to beat out competition. Knowing how much you can borrow will give you a leg-up on your competition, if you get into a bidding war. You’ll be able to be more strategic about your offers and understand what an offer increase could do to your monthly mortgage payment. You’ll also know when it’s time to walk away or (if you can afford to do so) increase your offer amount. You won’t lose time by going back to the bank and risk losing the home, if you know how much you can negotiate. 4) You can purchase a home more quickly. 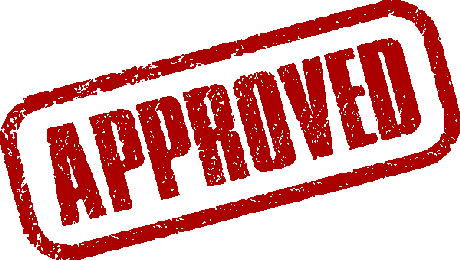 Having a pre-approval quickly in hand allows you to make purchasing decisions. If you wait until you find a house to get pre-approved, you’ll have to take time out to find a mortgage company and compare products – which could take weeks. During those weeks, you could risk losing the home to another bidder. 5) You can do your homework first. When you get pre-approved before you start looking at homes, you have more time to research products, companies and analyze your total costs. If you wait until you want to place an offer on a home, you could be rushed and might not have time to sort through all of your options. Taking your time to get pre-approved could save you a lot of money in the long run. To see what you can afford call me now!